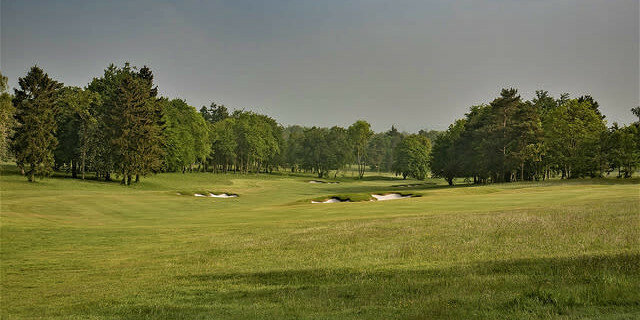 Effingham Golf Club is located between Leatherhead and Guildford, in the heart of the North Downs. It was carefully designed and constructed by the great Harry Colt, who created a brilliant and unforgettable golf course, filled with history and challenge. The generous 264-acre site provides incredible panoramic views of both the London sky line and the natural beauty of the scenic Chiltern Hills and its surrounding forest area. Its design is very sympathetic to the natural topography of the landscape and effortlessly moulds into the panorama of the Surrey countryside. The course is routed in two distinct nine-hole loops, similar to the wings of a butterfly. The five sets of tee markers offer a variety of playing options and poses a potential challenge for golfers of all genders and abilities. 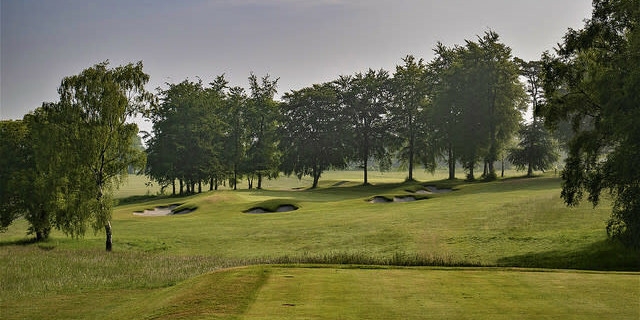 The club has hosted numerous elite events, including the regional qualifier for The Open Championship from 2006 to 2010, the Southern Regional Qualifier for the English Men's Open Amateur Strokeplay Championship, the Brabazon Trophy in May 2014 and has recently been selected to host the England Golf Senior Men's County Championship Final in 2019. 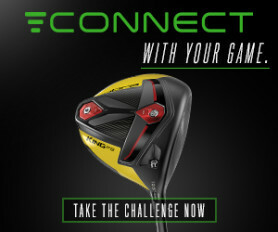 This is clearly an ambitious club looking to compete in a high-quality market of golf clubs in the Surrey area. It is only 4 miles from the M25 but throughout your round there is a distinct lack of any annoying road noise or distractions from the motorway. While it is possible to see Canary Wharf and other famous London landmarks on the course, Effingham still manages to maintain the identity of a scenic rural setting. Effingham has engaged the services of Tom Mackenzie of Mackenzie and Ebert, to ensure this classic design is not only true to its Harry Colt roots, but also remains a modern-day challenge. There is a fascinating presentation produced by Tom on the clubs Facebook site, it offers a superb record of the progression of construction and details the great work that has taken place to develop the course overtime. We were very lucky to meet him during our recent visit. He was intensely proud of how his team had completed the renovation of the course with great sensitivity to the original design. Without a doubt Mackenzie has added to the course without any of its original charm being removed. Fairway bunkers have been removed with additional bunkers constructed to affect the longer players. New bunkers have been created to heighten the challenge around the putting surfaces, with redesigned greens introduced at the 5th and newly extended 18th, which has been extended to 451 yards from the back tees. With so many exciting holes at Effingham, it’s difficult to single just one out. The Par-3’s provide a significant test of accuracy and commitment. Both the 4th and 7th are just a mid-iron to the heart of the green, but with bunkers surrounding both the front, left and right sides of the green, trust in the club in your hand and the line you’ve chose is crucial to avoid these sneaky sand traps. The 6th hole is an interesting Par-4, measuring around 400 yards with a slightly blind drive that needs to favour the right-side, the route to the green on the left is protected by a mature walnut tree at the elbow of the hole. Once again, picking the right target line is vital to leave yourself with a favourable putt. The 9th is a super Par-4, four cross bunkers placed diagonally across the fairway at 190 yards to 250 yards will ask questions for the majority of golfers, while the second shot has a slight narrow left turn into a tight but beautifully constructed green. The Par-5s at Effingham are very strong, the 1st hole is a narrow tee-shot, but the second shot is where the real difficulty comes. 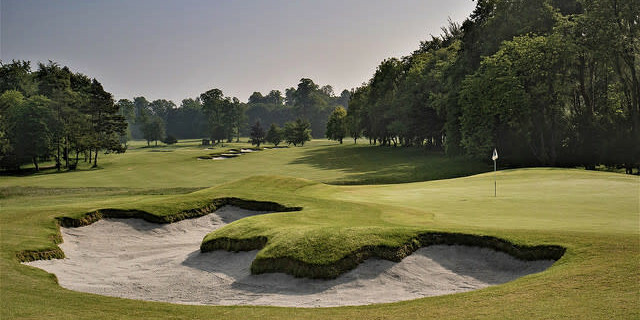 A lay-up requires careful placement to avoid the deep fairway bunkers, while golfers who intend to go for the green in two will have to navigate the greenside bunkers and severely sloped green. 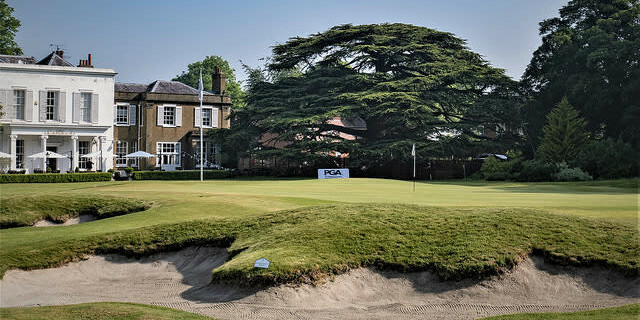 The 17th is a long Par-5 from the back two tees, the second-shot is a difficult and strategic lay-up as the four very well-placed bunkers around 125 yards from the green will swallow up any poor lay-up. The final hole is a joy to play, but the initial drive to the fairway is one of the most challenging on the course. Two bunkers patrol the right of the fairway covering the landing areas for most golfer’s tee-shots, meanwhile missing too far left can leave you with a blocked out or blind second shot the 18th green. The bunkering on the left of the green is excellent and the right of the green is protected by swales and hollows. The elegant clubhouse and terrace is just behind the green, providing a stunning view down the line of the 18th hole, the perfect spot for a cold drink on a summers day. It was clear from walking through the clubhouse door that everyone involved at Effingham takes great pride in the marvellous history and tradition that surrounds the golf club. The grounds around the course were once used by Henry VIII for deer hunting, while the oldest parts of the building date back to the late 1770s. Its final private owner was Charles Lambert of Lambert & Butler cigarette fame, who used it as country retreat up until his death in 1910. The remarkable Georgian clubhouse epitomises Effingham Golf Club’s traditional values, the architecture and interior design inside have been maintained immaculately. The club house is a true testament to the history of this famous estate. Despite the outward appearance of an old-fashioned clubhouse the overall golfing facilities are all state-of-the-art. The indoor golf simulator and contemporary style of the pro-shop highlight the successful steps Effingham has made to stay up-to-date with the changing modern game of golf. From the most junior service staff all the way to the Director of Golf, the service at Effingham Golf Club was unbelievably friendly and welcoming. All the members of staff were incredibly knowledgeable when it came to history of the club and the overall service was of the highest quality. It was so refreshing to witness an entire golf club that takes so much pride in their own club. This is a premier venue that I really enjoyed. The condition of the course was great, and the layout was even better. Despite the intense gradient changes, I felt the course was very easy to walk. The ambitious management team have made great strides in developing the club, and I fully expect more prestigious events being attracted to this venue in the foreseeable future.